Can't hear this interview?? Click here and Macromedia Flash Player will setup on your machine automatically! If you have a Macintosh click here and Macromedia Flash Player will setup on your machine automatically! If use Linux or any other operating system OTHER than Windows or Mac, click here! A 13th generation Diiyin (HolyOne), Maria began her training at the heels of her grandfather, Quero Apache poet and snake clan priest, Juan Ten Bears Yraceburu. Following an extensive apprenticeship under his guidance, she also was tutored by Matthew King of the Lakota, Phillip Cassadore of the Apache, Buffalo Jim of the Seminole, and Rolling Thunder of the Cherokee/Shoshone. 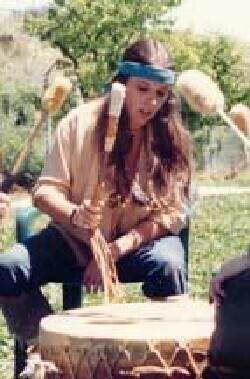 During college she worked with her advisor Meredith Kane in merging the native healing rites she had learned, with clinical psychology, for the healing of women who had been sexually abused as children. This merger has unfolded to become what is now known as Applied Ecopsychology and is practiced throughout the world. Maria is founder of FollowingAncestors, and it's non profit partner EarthWisdom. Both organizations work deligently to present ways for individuals to heal and reconnect with the forces of nature and spirit. Her articles have been published in over 25 different countries, and her books Legends and Prophecies of the Quero Apache (Bear & Co, 2002) and Prayers and Meditations of the Quero Apache (Bear & Co, 2004) introduce us to the fine and powerful traditional teachings that speak of these times of evolution. When you first meet Maria Yraceburu, as I did recently on an overcast afternoon in Oakland, Calif., she does not shake your hand. Instead, she cuts through the superficial by opening her arms and wrapping them around you. "I prefer to hug because that puts us heart-center to heart-center," she explains. A small woman with long dark hair and a generous mouth frequently open in laughter, Yraceburu (pronounced "yayse-buru"; the first "r" is silent) embodies a combination of directness and compassion that announces itself with that first hug. The granddaughter of a Quero Apache holy man of the Snake Clan (Tlish Dyan), she has dedicated her life to sharing the wisdom handed down to her. As a storyteller, healer, ceremonial leader and author of several books, Yraceburu, now a grandmother herself, is on a mission to spread the word about the earth-centered Quero Apache way of life. "The basis of the philosophy is that we are all interconnected," she says, summing up a cosmology that can be, to the newcomer, quite intimidating in its complexity. "We all have a need to connect, not just to human beings, but to natural and spiritual beings as well." from Maria's website Maria Naakai ts'iloose Yraceburu's name literally translates into "returning star" and "snake heart." Maria is an author and ceremonialist of the traditional snake medicine lineage (Tlish Diyan). She heads FollowingAncestors and its nonprofit partner EarthWisdom, and is reponsible for the continuance of the sacred knowledge that has been passed from one generation to the next. She has been trained in tradition philosophy and discipline which projects responsible co-creation and life affirmation. When her grandfather died, she was sent to study with different traditions to learn the ancient earthways that they were preserving. Maria authored Prayers and Meditations of the Quero Apahe (Bear & Co., 2004), and Legends and Prophecies of the Quero Apache" (Bear & Co., 2002), as a sharing of this sacred prophecy fulfillment with the world. She is recognized as one of four lineage carriers today. Within the framework of the Quero Apache Tlish Diyan cosmology, the Naabik'aash-n Dahitaa - Jumping Moon Ritual - represents the good invisible forces in the universe. The Tlish Diyan represented the energies received during participation into aspects of self. When this ritual reveals personal essence, its simplicity is given reverence of pantheon proportion, so it's influence is transformational. The idea of Jumping Moon alters self limiting beliefs, the howling celebration of truth resonates in its exact philological form. 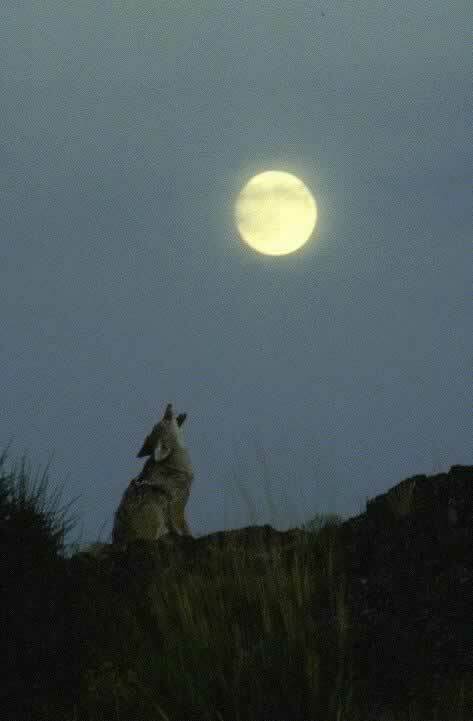 Jumping Moon opens us to receptive abilities and energies that nurture only love. The cosmological tradition of the Tlish Diyan spreads through humanity's history by one name or another. The similar thread of conscious connection is apparent in the founding conception of all spiritual life beliefs. Although separate meanings have taken place, the change of control, the basic notions of all early cosmologies resonate similar hymns of connection, whicn in many aspects are resurfacing in this day and age. From the Tlish Diyan cosmology the ideas enter the philosophy of living life, and from there, into the philosophy of co-creating reality. Within the framework of universal energies, there are many varied ways to manifest but one dream. All represent the highest vibration of all the metaphysical speculations of history. According to the Tlish Diyan, the universe is a world of phenomena in which everything is in motion. Everything in motion is running around an endless cycle within cycles. This is because all living essences are drawn by evolution, and signifying connection in all aspects, and/or all those gifts and talents we long to project. Love is the cause of evolution. There is a procession of life, and the different life changes promote evolution. All this is energy in motion, a world of phenomena, Naabik'aash-n Dahitaa - Jumping Moon - truth of power. Leaves transported by the Winds of Change, life birthed in waves of emotion. We send blessings and honor a sacred site awakening with the power of NAABIK'AASH-N DAHITAA - Pipestone Quarry, Minnesota. The past is gone. Today is full of possibilities. With each breath we take, may we be aware of the strength at hand. Daaiina, and so it is. There is a play of energies currently on the Changing Mother earth that are are being mislabeled, misdiagnoised, and in general setting off an energetic misconception that can be easily understood and alleviated. At least 3.6% of U.S. adults (5.2 million Americans) alone are experiencing it. Are you one? Let's examine some possibilities. Look over the statements below and see how many apply. * Have you experienced intense fear, helplessness or horror? * Repeated, distressing memories and/or dreams? * Intense physical and/or emotional distress? * Do you feel numb? * Avoiding activities, places, or people? * Blanking when trying to formulate and put forth a congnizant thought? * Feeling detached from other people? * Are you having problems sleeping? * Experiencing irritability or outbursts of anger? * Problems concentrating? * Have you experienced changes in sleeping or eating habits? * Are you experiencing unexplained saddness or depression? Headaches, gastrointestinal complaints, immune system problems, dizziness, chest pain, or discomfort in other parts of the body are common physical symptoms currently being experienced. Often, doctors treat the symptoms, and many are diagnosed as post traumatic stress disorder. Is this the case? Yes and no. The symptoms we are experiencing in life are very similar to PTSD, however, in my tradition, that of the Quero Apache Tlish Diyan (snake clan), we recognize these symptoms as misalignment of human-planetary energies. Last year we experienced a 'tsunami that shifted the earth's polar axis 5 degrees. With the magnetic grid shift, we have witnessed many animals displaced in their migratory routes, problems during their reproductive seasons, and drastic weather patterns that are playing out on the earth's surface and in our lives. We are all composed of electromagnetic energies that interact with others. This is the dynamics of life on this planet. According to our prophecies, we are currently in a time of earth and human transition. How we do things is changing with the changes the earth is making within her energetic paradym facilitated by her shifting magnetic leylines. My tradition has long recognized the service of individuals known as Humanity's Criers - what many metaphysical folks would call empaths. However, within the definition of empath there is something of a misnomer. We have always taken this to mean someone who can feel another's emotional health. This is a limited understanding. This statement is true, but it goes much further in our traditional understanding. Humanity's Criers are individuals who have volentarily come to this plane of existence to act as release valves for shifting emotions and energies, not just for humanity as a whole, but also for the planet and all live upon it. It is through the work of Humanity's Criers and the 'tsanti... web, or reality dreamers, that we will make it through this evolutional period. Who are Humanity's Criers? Well, most of us that began this path back in 1987 by answering the call to find a better, more sustainable way of living. This includes those doing work with the land, spiritually, emotionally and physically, to bring life for all back into a more balanced and flowing existence. How can we help ease the transition and the effects on our emotions and body? Easy, get back into cyclic timing, and expand our perception of reality. If you're operating from a spiritual path that only has you focusing on spiritual enlightenment, and not on grounding your visions and incoming knowledge with the energies of earth, then you are draining yourself... or leaking your power, as traditionals put it. She is shifting to bring herself, and us, into an energetic paradym of peace. The only way to do this is for us to stop putting labels of limitation on our evolutional process, and look beyond into what we all know to be fact... we are empowered co-creators of our reality. What we co-create with are others of energetic dimensions, including this big rock we call Mama. This is a decision and reality we now need to incorporate. If we do not ground our visions, and align ourselves magnetically with the earth's ley lines, we have little hope of manifesting those visions. So, I ask you today, how do you honor your alignment cycles with Changing Mother? Are you ready to ease your transition, or do you choose to continue the hard way? If you're ready to ease your SYMPTOMS, Courageous Crossing might be for you. If not, find an earth way that is. We'll be happy to direct you to others we know. Do this for yourself and future generations. Ukehe, thank you. yalan intin.... good journey. 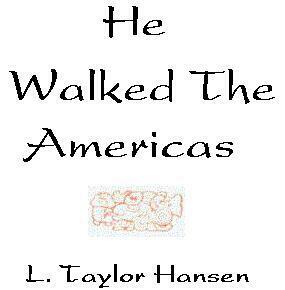 Central to the Tlish Diyan belief system is Connection. Connection means "joining with the Ancestors." It is a primordial condition that transcends time and represents a body of spiritual knowledge pertaining to the evolution of the world. The principle manifestation is governed by Spiritual Guides, those beings who lovingly watch over the landscape, who pass on the custom and Sacred Laws to the Tlish Diyan, and who live on as visible icons in the stars and sacred grounds, which themselves embody a metaphysical or Connecting presence. Maria Yraceburu's relationship with Connection is the center of her life. No other reality holds so much significance, not even her family relationships. Her spiritual essence - her sense of ancestry - is derived from the Connection, he kinship ties find their origins there, and her ultimate destination at death is her return to it as her primordial source. She does not worship one presence so much as acknowledge her inseparability from it as the basis of her spiritual essence. 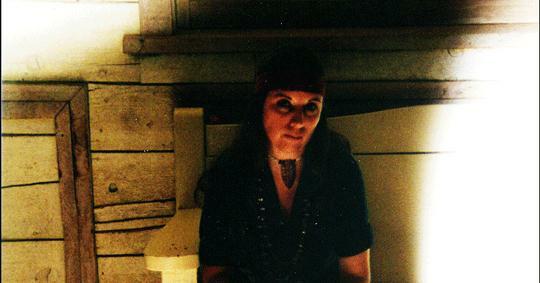 Much of Maria's ritual life revolves around connecting in times of Silence and communing with Spirit. Although a deeply spiritual being, she acknowledges the demands of this world. Indeed, she is struck by the relationship between all the elements in this cosmic space of time: humans, animals, birds, insects, plants, and the wide land which both holds and is held by human perception. Maria acknowledges that she "belongs" to the land because of her connection: her grandfather was anchored in the land, her children were born of the land. Her spiritual origin also binds her to her path in such a way that she has become the hereditary guardian (akicita) of evolution until the time when she will pass this duty over to one of her grandchildren. This woman, and others like her, are responsible for retaining the sacred knowledge, the dance and prayers that align us with the land, as well as the mythic prophecies being born of the land in this time. Maria's connection can be evoked by many different elements. It follows that if one sensual center is stimulated, others will follow in the web weaving connection of essence. As a result the knowledge of the world of human and spirit becomes a physical sensation of remembrance, a personal sacred landscape of identity. The core belief of Tlish Diyan spirituality is that one can connect to the essence of anyone or thing through ritual action. Life affirming celebration is therefore of great importance in the life of individuals and the circle, and the central figure in this activity is the diiyin. The diiyin is one who is set apart from set apart from their contemporaries by the nature of their special connection and insights. As a young girl, Maria Yraceburu was physically different and was recognized "by the light radiating from her eyes," as one commentator observed. By and large, her charge was inherited from Grandfather Ten Bears, a great holyman himself. While Ten Bears had the authority to initiate Maria into the secrets of the tradition, this was done with the understanding that Maria had already been made aware of her destiny by way of visionary contact with her Guides and Ancestors. Circumstantial and oral testimony suggest that Maria underwent a form of initiation that consisted of a near death experience at the hands of Nakia, the Rainbow Snake Guardian of Fifth World Prophecy, accompanied by prolonged training in the wilderness. The initiation continued under Ten Bears guidance. Finer details in the arts of storytelling, stalking power, energy tracking, healing techniques, ceremony and star charting, were all taught to her. These were, and are, the more practical aspects of Maria's craft and underlie the important social contribution the woman makes to her community in the role of diiyin. They do not, however, convey fully the spiritual metamorphosis she has undergone in her pursuit of the sacredness associated with the Path of Beauty she walks. Maria is often called upon for lich'i' odaach'idii - voluntary ooperation - by Spirit Guides and Ancestors alike, the result being a descernment of images by way of an interior presence that produces words of extreme power in their capacity of love. Maria has developed this connection. Her vividly descriptive account of her encounters with visionary experience, leads us into the dimensional realm where spiritual connection can occur. Here is one of those accounts. Maria Yracébûrû, author of Legends and Prophecies of the Quero Apache, has captured the imagination of thousands with her remarkable actions in walking a path of true knowing, as typified by her traditional Quero Apache upbringing, and pursues her personal goal of sharing the ancient teaching foundations of a balances lifestyle.